See what's on at the Brick Works' Saturday Farmers Market this November. Inasmuch as the weather is cooling down, that does not mean the Saturday Farmers Market stops at Evergreen! November is an exciting month, not only because we move back inside, but also because we have a bunch of delicious and versatile ingredients of the week. Every year (usually from late-September until early-November) pumpkins and cranberries reach their peak colour, flavour and taste, and are thus ready for harvesting. Come out and see what we have in store for you this month! You will not be disappointed. We know that pumpkins were the ingredient of the week on October 13, yet crops this tasty deserve recognition and celebration twice in less than a month. Pumpkins are an important gourd for many Ontario farmers. Pumpkins harvest in the fall, but some farmers seed them prior to the last spring frost in peat pots (until germination, the temperature should be 18-29°C). This little-known fact demonstrates that pumpkins actually prosper in warmer weather; as such, they do not tolerate frost well. November 3 might very well be your last chance to pick up fresh pumpkins from some of our vendors! You can get your pumpkins from Joyfully Organic, and Fresh and Tasty Mushrooms just to name a few! In a large stockpot or Dutch oven, heat oil over medium/high heat. Add the garlic and let sauté for about 2 minutes, or until translucent. Add the pumpkin, ginger, Cashew Milk, vegetable stock, maple syrup, and salt. Stir to combine well. Allow to come to a boil and then reduce heat to simmer. Allow soup to simmer for 20 minutes or until heated through and slightly reduced. While soup is simmering, make your candied cashews. Add cashews and maple syrup to a skillet over medium/high heat. Stir to coat the cashews in the maple syrup as they toast. 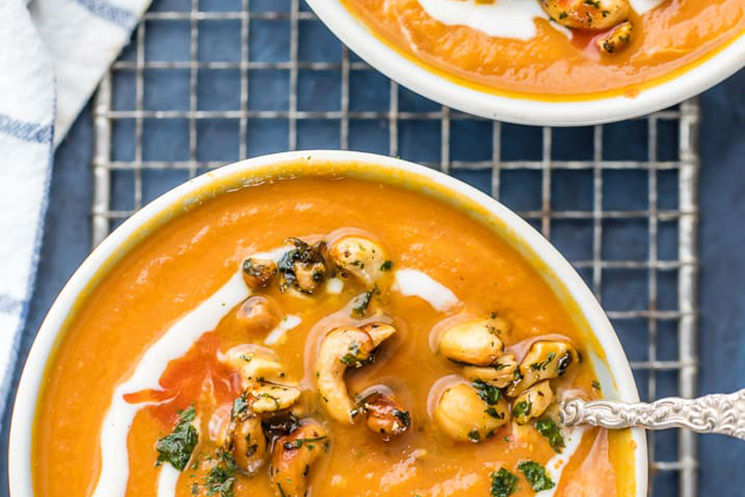 Serve the soup hot garnished with a couple dashes of hot sauce, chopped cilantro, and Silk Yogurt Alternative. Top with some candied cashews. Recipe and picture from The Cookie Rookie. The Evergreen Brick Works Saturday Farmers Market has a robust community of buskers who join us weekly. Their music nicely supplements the overall market experience. Performing this week is Bluesboy Nicky. Buildings 12 and 14 will be home to our indoor market starting on November 10, 2018. The indoor farmers market runs Saturdays, 9am – 1pm. During the sometimes hard winter months (November – April), more than 30 of our vendors stay with us. Winter vegetables, greenhouse produce, meat, cheese, baked goods, bread, and specialty foods items made to order from the Local Food Court will be available for sale. No need to worry, the Sipping Container, which sells local coffee, craft sodas, and juices, as well as specialty beers from breweries all across the Greater Toronto Area, will be moving indoors along with the farmers’ market. Due to popular demand, we are also bringing back hot apple cider, courtesy of Bizjack Farms. While delicious as is for kids, adults can spike it with rye, spiced whiskey, or rum. Unlike last year, the Sipping Station will be in the BMO Atrium. In addition, the Sipping Station, as part of Evergreen’s waste initiative program, will be offering a significant discount ($1!) for patrons who bring their own mug for either coffee or tea. 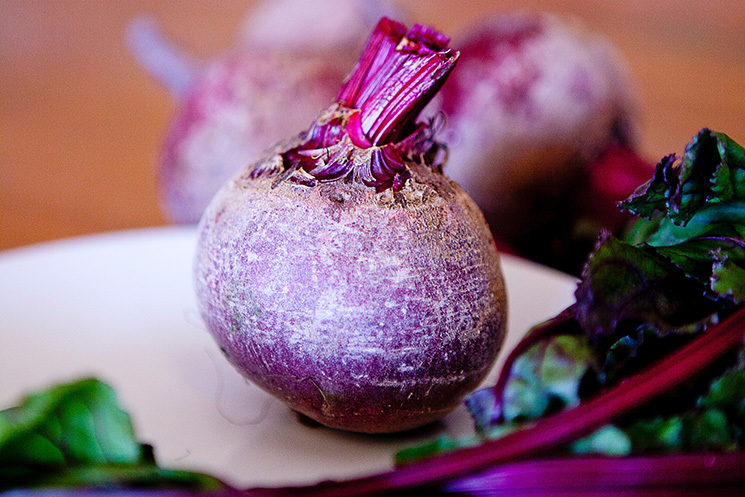 Beets are a common root vegetable, and they do not require much care when farming. They contain loads of fiber, folic acid and potassium; the red pigments in them contain cancer-preventing antioxidants. Beets are biennials. In the first year, beet plants develop leaves, stems, and roots, and although dormant during colder months, they blossom and perish in the second year. However strangely, unlike many other fruits and vegetables, beets thrive in cooler conditions, making them ideal for the Ontario climate. Beets can even tolerate frost. You can pick beets up from a lot of our vendors, including Marvellous Edibles, Joyfully Organic, and Lifespring Farm. Spread the bulgur on a rimmed sheet pan, pull the oven rack out partway, and place the sheet pan on it. Carefully add the boiling water and, wearing oven mitts, cover the sheet pan with aluminum foil (you may need two sheets), crimping it tightly around the edges to seal. Cook the bulgur for 10 minutes; remove the pan from the oven, and set it aside, covered, for 10 minutes. Remove the foil and fluff the bulgur with a fork. Using a food processor fitted with the grater attachment (or the medium-size holes of a box grater), shred the beet and the mushroom. Swap the grater attachment for the blade and add the beans, pecans, flax meal, mustard, soy sauce, coriander, five-spice powder, salt, and pepper. Add the bulgur (wipe the sheet pan clean; you will use it in Step 4) and pulse to combine so the mixture is finely ground yet still rough—you do not want a smooth paste. Line the sheet pan with a piece of aluminum foil and lightly coat the foil with olive oil. Transfer the bulgur mixture to the sheet pan and form the mixture into a log, 9 inches long, 4 inches wide, and approximately 1 1/2 inches thick. Bake the beet loaf until it is somewhat firm and browned, about 25 minutes. Stir together the ketchup, hoisin, honey, paprika, cayenne, and salt in a small bowl. Once the loaf has cooked for 25 minutes, use a pastry brush or silicone brush to coat the surface of the loaf with half the glaze. Return the loaf to the oven and cook for 15 minutes more. Brush the remaining glaze over the loaf and turn the broiler to high. Broil the loaf until the glaze begins to caramelize and brown, 3 to 4 minutes (watch the glaze closely as broiler intensities vary). Remove the sheet pan from the oven and cool for 10 minutes. Use the foil to help transfer the loaf to a cutting board. Slice the loaf crosswise into 1/2- to 3/4-inch-thick pieces and serve. Recipe from Food Network Canada. 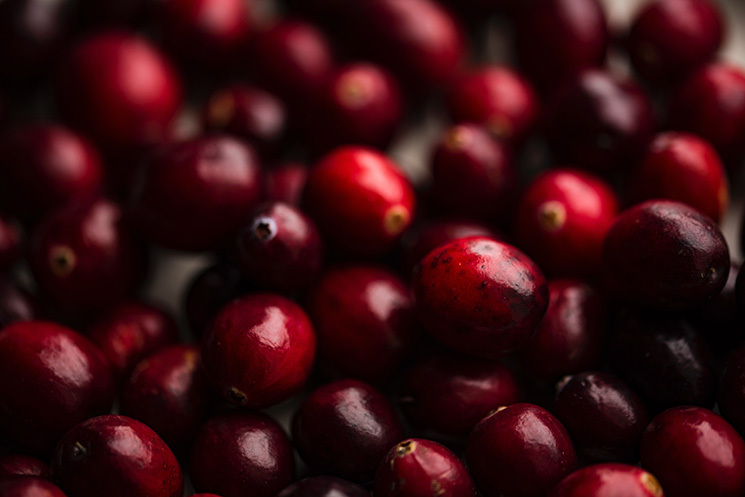 Cranberries are indigenous to the bogs of central and eastern North America. Throughout history, they have been a source of food, medicine, and even as a preservative. Benzoic acid is the most widely used preservative, and it naturally occurs in cranberries. In Ontario, cranberry production is concentrated near the smalltown of Bala, about 2.5 hours north of Toronto. In order for cranberries to grow successfully, suitable sites are vital. Cranberry farms need a large supply of fresh water, and peat based soils. While cranberries cannot be grown just anywhere, there are many health benefits in eating them. In fact, nutritionists call cranberries a “super food”. They have a wide range of potential health benefits. Cranberries contain loads of vitamins (vitamin C and vitamin E) and antioxidants. Preheat oven to 350 degrees. Butter a 10-inch cast-iron skillet. Stir together cranberries and 2 tablespoons sugar. In a large bowl, whisk together flour, baking powder, salt, and remaining 3/4 cup sugar. In a small bowl, whisk together milk and egg, then whisk in butter. Whisk milk mixture into flour mixture until combined. Pour batter into skillet and scatter cranberries on top. Bake until center springs back when lightly touched, 25 to 30 minutes. Looking for more to do this month at the Brick Works? Check out our What's On page for upcoming events and programs.